(1) A person is not entitled to be admitted to the United Kingdom by virtue of regulation 11 if his exclusion is justified on grounds of public policy, public security or public health in accordance with regulation 21. (1A) A person is not entitled to be admitted to the United Kingdom by virtue of regulation 11 if that person is subject to a deportation or exclusion order, except where the person is temporarily admitted pursuant to regulation 29AA. (1A8) A person is not entitled to be admitted to the United Kingdom by virtue of regulation 11 if the Secretary of State considers there to be reasonable grounds to suspect that his admission would lead to the abuse of a right to reside in accordance with regulation 218(1). (18) 1f the Secretary of State considers that the exclusion of an EEA national or the family member of an EEA national is justified on the grounds of public policy, public security or public health in accordance with regulation 21 the Secretary of State may make an order for the purpose of these Regulations prohibiting that person from entering the United Kingdom. (b)the EEA national has a right to reside in the United Kingdom under these Regulations. 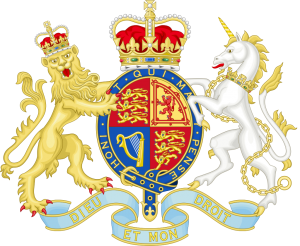 (c)the Secretary of State has decided that the person’s removal is justified on grounds of abuse of rights in accordance with regulation 218(2). (4) A person must not be removed under paragraph (3) as the automatic consequence of having recourse to the social assistance system of the United Kingdom. (5) A person must not be removed under paragraph (3) if he has a right to remain in the United Kingdom by virtue of leave granted under the 19?1 Act unless his removal is justified on the grounds of public policy, public security or public health in accordance with regulation 21. (1) The Secretary of State may refuse to issue, revoke or refuse to renew a registration certificate, a residence card, a document certifying permanent residence or a permanent residence card if the refusal or revocation is justified on grounds of public policy, public security or public health or on grounds of abuse of rights in accordance with regulation 218(2). (1A) A decision under regulation 19(3) to remove a person from the United Kingdom will (save during any period in which a right of residence is deemed to continue as a result of regulation 158(2)) invalidate a registration certificate, residence card, document certifying permanent residence or permanent residence card held by that person or an application made by that person for such a certificate, card or document. (2) The Secretary of State may revoke a registration certificate or a residence card or refuse to renew a residence card if the holder of the certificate or card has ceased to have, or never had a right to reside under these Regulations. (3) The Secretary of State may revoke a document certifying permanent residence or a permanent residence card or refuse to renew a permanent residence card if the holder of the certificate or card has ceased to have, or never had a right of permanent residence under regulation 15. (b) revoke that person’s permanent residence card if he is not at that time a person with a right of permanent residence under regulation 15. (b)the person is not at that time the family member of an EEA national with the right to reside in the United Kingdom under these Regulations or is not accompanying that national or joining him in the United Kingdom. (6) Any action taken under this regulation on grounds of public policy, public security or public health shall be in accordance with regulation 21. (d)it is not possible for the Secretary of State to remove the person from the United Kingdom pursuant to regulation 19(3)(b) or 2(c). (b)wants to verify the eligibility of a person (“A”) to apply for documentation issued under Part 3. (b)attend an interview with the Secretary of State. (4) If, without good reason, A or B fail to provide the additional information requested or, on at least two occasions, fail to attend an interview if so invited, the Secretary of State may draw any factual inferences about A’s entitlement to a right to reside as appear appropriate in the circumstances. (5) The Secretary of State may decide following an inference under paragraph (4) that A does not have or ceases to have a right to reside. (6) But the Secretary of State must not decide that A does not have or ceases to have a right to reside on the sole basis that A failed to comply with this regulation. (7) This regulation may not be invoked systematically. (8) In this regulation, “a right to reside” means a right to reside under these Regulations. (1) In this regulation a “relevant decision” means an EEA decision taken on the grounds of public policy, public security or public health. (2) A relevant decision may not be taken to serve economic ends. (3) A relevant decision may not be taken in respect of a person with a permanent right of residence under regulation 15 except on serious grounds of public policy or public security. (b)is under the age of 18, unless the relevant decision is necessary in his best interests, as provided for in the Convention on the Rights of the Child adopted by the General Assembly of the United Nations on 20th November 1989. (e)a person’s previous criminal convictions do not in themselves justify the decision. (6) Before taking a relevant decision on the grounds of public policy or public security in relation to a person who is resident in the United Kingdom the decision maker must take account of considerations such as the age, state of health, family and economic situation of the person, the person’s length of residence in the United Kingdom, the person’s social and cultural integration into the United Kingdom and the extent of the person’s links with his country of origin. (b)if the person concerned is in the United Kingdom, diseases occurring after the three month period beginning on the date on which he arrived in the United Kingdom shall not constitute grounds for the decision. 21A. (1) Where this regulation applies Part 4 of these Regulations applies subject to the modifications listed in paragraph (3). (c)has applied for a derivative residence card. (e)the reference in regulation 19(1A) to a deportation or exclusion order referred also to a deportation or exclusion order made under any provision of the immigration Acts. (g)regulations 20(3), 20(6) and 21 were omitted. (d)fraudulently obtaining or attempting to obtain, or assisting another to obtain or attempt to obtain, a right to reside. (2) The Secretary of State may take an EEA decision on the grounds of abuse of rights where there are reasonable grounds to suspect the abuse of a right to reside and it is proportionate to do so. (3) Where these Regulations provide that an EEA decision taken on the grounds of abuse in the preceding twelve months affects a person’s right to reside, the person who is the subject of that decision may apply to the Secretary of State to have the effect of that decision set aside on grounds that there has been a material change in the circumstances which justified that decision. (4) An application under paragraph (3) may only be made whilst the applicant is outside the United Kingdom. (5) This regulation may not be invoked systematically. (6) In this regulation, “a right to reside” means a right to reside under these Regulations.”.